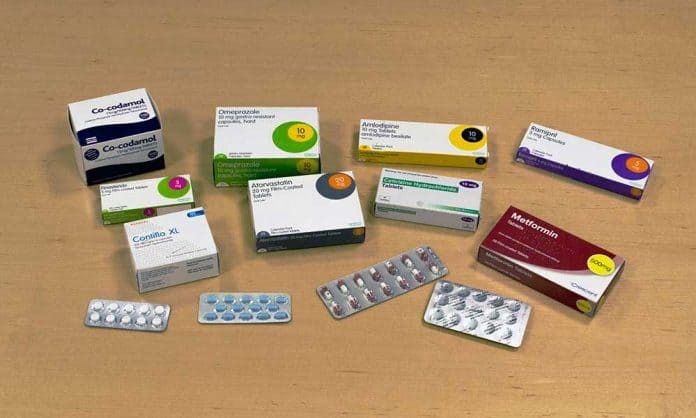 A selection of some common prescription medicines that people often carry whilst travelling. If you’re planning a trip to Ireland and rely on prescription medication which you need to take regularly, you will need to plan your visit carefully to make sure you have enough medication for your trip. In the event that your medication can be freely purchased in Ireland (for example, aspirin), you might find it more convenient to top up your supplies during your visit rather than bring enough for your whole trip. Travelling with medication internationally is subject to various rules and regulations, so you will need to do your research before your trip. You might be wondering, do prescription drugs have to be in original containers when flying? This article aims to answer this and many other questions. You should always ensure that you bring an adequate supply of your prescription medication to last you for your entire trip, including some extra in case you are delayed on your travels. Be sure to pack your original prescriptions, and keep them in your hand luggage along with copies ideally. You might be asked to show these at airport security checks to show you require the medication you are carrying. Before you begin travelling with medication internationally, check whether your medications are legal in Ireland. Just because they are legal in your home country, doesn’t mean they will be legal in other places. If you are unsure or have any concerns, contact the Irish embassy in your country and ask for advice. You’re perhaps wondering, do prescription drugs have to be in original containers when flying? The answer is yes. You should always endeavour to keep any medications in their original containers at all times. Your concern might be: how do I pack my medication for a flight? You should pack it in your hand luggage. If you require medication for the flight, you will always be allowed to take this on to the plane with you. What Documentation Should You Carry? When travelling internationally, you should carry your original prescriptions wherever possible, and copies if not. You should also take a letter from your doctor if relevant. Remember to leave copies of any original documents at home with a friend or relative in case you find yourself in difficulty and need to have your original documents scanned and sent to you on your travels. And you might ask, how do I pack my medication for a flight? You should keep all documentation relating to your medication in your hand luggage at all times. You might choose to carry photocopies of your documentation in your hold luggage so you have spares in the event that you misplace the originals. Always keep your prescription medication in its original packaging, even if this takes up more space in your luggage that you would like. There are several reasons why it’s important to keep your medicines in the original containers. Firstly, this will ease your passage through airport security. Secondly, it will make it easy for medical professionals to see what medication you are on in the event of your falling ill and there being a language barrier. The flying with medication rules might seem rather strict, but they are there for the protection of passengers. As long as you abide by all the rules, correctly package your medication and carry proof that it was prescribed for you, you should not experience difficulty or delays when travelling. Basic medication for things like colds and flu, sore throats, stomach upsets, minor cuts and mild sprains are widely available at pharmacies in Ireland – more commonly known as chemists. These are located on most high streets and in shopping centres, and all but the smallest villages will have one. You can also find basic medications in supermarkets, petrol stations and convenience stores, but you’ll find the most choice in a chemist. A typical Irish high street pharmacy where medicines can be obtained. If you need non-urgent medical assistance, pharmacy staff will be able to provide advice on many common ailments. If they are unable to help or suspect you might need further medical attention, they will advise you on the best way to proceed. GPs (doctors who deal with everyday illnesses) are available in all areas of Ireland, and many will treat tourists or visitors to the area. If you are unwell and think you need to see a doctor, contact the nearest GP’s surgery and ask for advice. GPs can prescribe medication that is not available over the counter. If you are prescribed medication by a doctor, you will need to take your prescription to a pharmacy to have your prescription filled. Pharmacists can provide additional information on how to take your prescription medication. In the event of an emergency, you should immediately call 999 for an ambulance.